For realtors, getting good visuals of their listing can be the easy part. Hired a great real estate photographer = check. Work with owners, staged areas, worked with photographer, home stager and stylist to ensure a successful shoot = check. Received photos and other media from photographer = check. 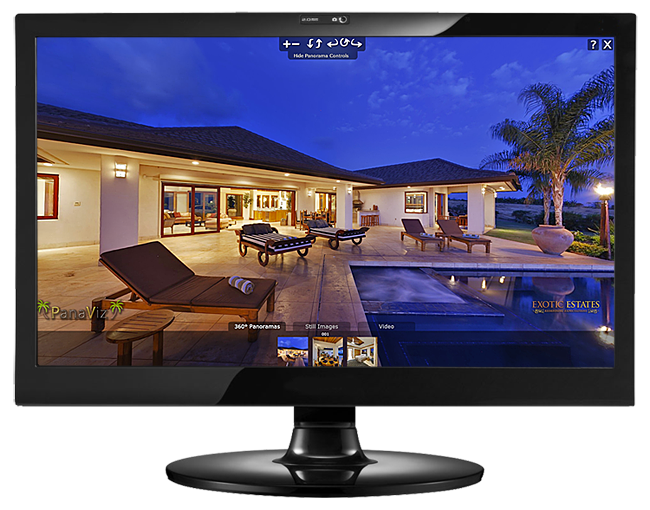 Implementing your real estate photos, virtual tour and videos into your property site can be challenging. You need to work with your web development team to ensure that your new hotel photographs are displayed most effectively. By all means have your photos distributed to the M.L.S and sites such as Zillow and Realtor.com in their prescribed formats and sizes. You don’t have a choice in how they showcase your property, and they are not necessarily trying to have YOUR property stand out. But it is worth a few huddles with your team to get it right on your own site. Display the images in as large a size as your website will allow. Full screen is best, larger monitors abound and bandwidth is cheap. Small images look like thumbnails on these behemoths. If different types of media are produced, have them bundled so that they launch from one place with one mouse click. Have team members view the images on various displays to test the color temperature. This is easily fixed, but do not rely on just your machine. Monitors have different color profiles, and a professional photographer is most likely using a color calibration software. Make your media work on mobile devices, keeping in mind that Apple devices do not like flash content. Do this even if your site is not geared for mobile devices yet. Have a contact or email button directly on your media. Helpful if full screen display is chosen. Potential home buyers should not have to dig too deep to get to your photos and rich media. Click below to see simple one-click implementation. Smaller agencies or realtors may use templates that do not let them make customizations easily. Conversely, larger real estate companies tend to shoe horn all their properties into a generic corporate template. PanaVizis a full service real estate photography provider in Hawaii specializing in luxury homes and resorts. We see poor implementation of our photographs in clients large and small. Where possible, we come up with solutions and tips for our clients on best practices for visual content implementation. PanaViz provides real estate photography services on Oahu, Kauai, Maui, Big Island, Lanai and Molokai.